Bu araştırma Büyük Menderes Nehri’nde ağır metal kirliliğini saptamak amacı ile yapılmıştır. Büyük Menderes nehrinde seçilen 8 istasyondan 13 yıl boyunca alınan su örneklerinde Cu, Zn, Mn, Pb, Cd ve Fe parametreleri değerlendirilmiştir. Bakır Yenipazar Köprüsü'nde (10.02 ± 9.86) en düşük, Sarayköy Köprüsü'nde (18.46 ± 17.48) en yüksek; çinko Aydın köprüsünde en düşük (32.07 ± 18.14), Sarayköy Regülatöründe en yüksek (65.19 ± 55.54); mangan Adıgüzel Barajı'nda en düşük (41.61 ± 35.38), Sarayköy Regülatöründeki en yüksek (148.36 ± 105.02); kurşun, Adıgüzel Barajı'nda en düşük (4.01 ± 3.96), Yenipazar Köprüsü'nde en yüksek (9.95 ± 8.62); kadmiyum Söke Regülatörü'nde en düşük (2.37 ± 2.18), Sarayköy Köprüsü'nde en yüksek (2.61 ± 2.18); demir Adıgüzel Barajı'nda en düşük (77.21 ± 72.47), Söke Regülatöründe en yüksek (330.07 ± 306.24) olarak tespit edilmiştir. Sonuç olarak Büyük Menderes Nehri’nin kirlilik tehdidi altında olmadığı saptamıştır. Adamiec, E.H.R.E. (2002). Distribution of pollutants in the Odra river system. Part IV. Heavymetal distribution in water of the upper and middle Odra river, 1998–2000. Polish Journal of Environmental Studies, 11(6), 669–673.Akobundu, A. (2012). Quality Assessment of Aba River Using Heavy Metal Pollution Index, American Journal of Environmental Engineering, 2(1):45-49.Aktar, M.W., Paramasivam, M., Ganguly, M., Purkait, S., & Sengupta, D. (2010). Assessment and occurrence of various heavy metals in surface water of Ganga river around Kolkata: a study for toxicity and ecological impact. Environ Monit Assess, 160(1–4):207–213.Alam, M.G.M., Tanaka, A., Stagnitti, F., Allison, G., & Maekawa, T. (2001). Observations on the effects of caged carp culture on water and sediment metal concentrations in lake Kasumigaura, Japan. Ecotoxicology and Environmental Safety, 48, 107-115.Apha, (2005). 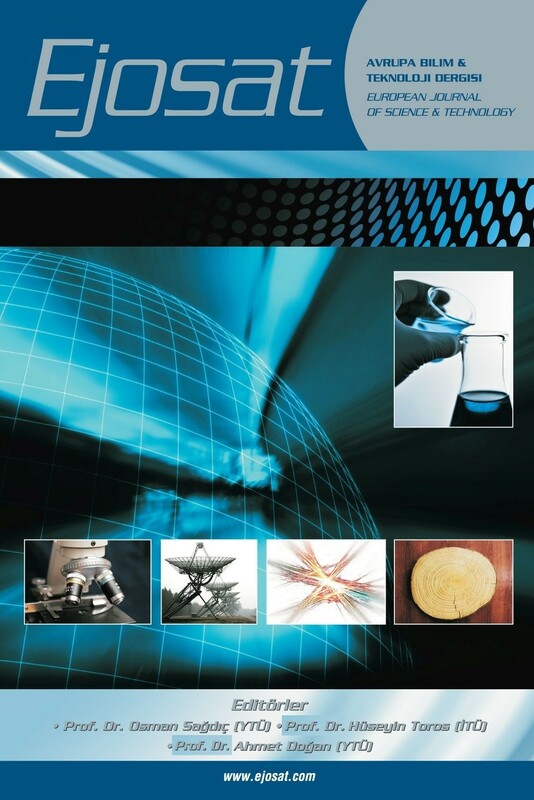 Standard methods for the examination of water and wastewater. American Public Health Association, WashingtonAriman, S., Cuce, H., Özbayrak, E., Bakan, G., & Büyükgüngör, H. (2007). Heavy Metal Pollution in Water and Sediment Averages of Central Black Sea Coastline Rivers. 7th National Environmental Engineering Congress. Life, Environment and Technology, İzmir.Arslan, N.T.C., Çiçek, A., & Köse, E. (2011). Determination of some metal concentrations in water and sediment samples in Yedigöller region (Kütahya). Review of Hydrobiology, 4(1), 17–28.Chatterjee, S. K., Bhattacharjee, I., & Chandra, G. (2010). Water quality assessment near an industrial site of Damodar River, India. Environ. Monitor. Assess., 161 (1-4), 177-189 (13 pages).Fifield, F.W., & Haines, P.J. (1997). Environmental Analytical Chemistry. Blackie Academic and Professional, London.Hassan, F.M., Saleh, M.M., & Salman, J.M. (2010). A study of physicochemical parameters and nine heavy metals in the Euphrates River, Iraq. E-J. Chem., 7(3):685-692.Hayati, A., Tiantono, N., Mirza, M.F., Putra, I.D.S., Abdizen, M.M., Seta, A.R., Solikha, B.M., Fu'adil, M.H., Putranto, T.W.C., Affandi, M., & Rosmanida .(2017). Water quality and fish diversity in the Brantas River, East Java, Indonesia, Journal of Bıologıcal researches , 22:43-49. Herojeet, R., Rishi, M. S., & Kishore, N. (2015). Integrated approach of heavy metal pollution indices and complexity quantification using chemometric models in the Sirsa Basin, Nalagarh Valley, Himachal Pradesh, India. Chinese Journal of Geochemistry, 34(4), 620–633.Kahvecioglu, O., Kartal, G., Güven, A., & Timur, S. (2008). The Environmental Effects of Metals-I, Lecture Notes of Metallurgical and Materials Engineering Department of Istanbul Technical University.Koc, C. (2008). The Effects of environment and ecology projects on lake management and water quality. Environmental Monitoring & Assessment, 146, 394–409.Manoj, K.P.P., & Chaudhury, S. (2012). Study of heavy metal contamination of the river water through index analysis approach and environmetrics. Bulletin of Environment, Pharmacology and Life Sciences, 1(10), 7–15.Nair, I.V., Singh, K., Arumugam, M., Gangadhar, K. & Clarson, D. (2010). Trace metal quality of Meenachil River at Kottayam, Kerala (India) by principal component analysis. World Appl. Sci. J., 9(10):1100-1107.Obaroh, I.O., Abubakar, U., Haruna, M.A., & Elinge, M.C. (2015). Evaluation of some Heavy Metals Concentration in River Argungu. Journal of Fisheries and Aquatic Science, 10: 581-586.Reza, R., & Singh, G. (2010). Heavymetal contamination and its indexing approach for river water. International Journal of Environment Science and Technology, 7(4), 785–792Sharma, S.K. (2015). Heavy Metals in Water: Presence, Removal and Safety, Royal Society of Chemistry, Cambridge, UK, 357 pagesTam, N.F.Y., & Wong, YS. (2000). Spatial variation of heavy metals in surface sediments of Hong Kong mangrove swamps. Environmental Pollution, 110:195-205.Touraj, N. (2015). An index approach to metallic pollution in river waters. International Journal of Environmental Research, 9(1), 385–394.Va´zquez-Sauceda, M.L., Aguirre-Guzma´n, G., Sa´nchez-Martı´nez, J.G., & Pe´rez-Castan˜eda, R. (2011). Cadmium, Lead and Zinc concentrations in water, sediment and Oyster (Crassostrea virginica) of San Andres Lagoon, Mexico. Bull Environ Contam Toxicol 86:410–414. Who, (1993). Guidelines for Drinking Water Quality. World Health Organization. Geneva, Swilerland.